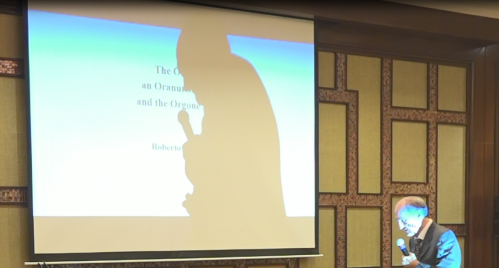 "The Origin of an Oranur Reaction and the Orgone Motor." The Oranur experiment was carried out at Orgonon laboratory, Maine, USA, at the beginning of January 1951. The main aim of the experiment was to study the possible anti-nuclear effects of orgone energy. Reich thought that his work might be used as an antidote to the toxic radiations emitted by nuclear energy, so as to neutralize them, or at least to reduce their harmful effects. Originally, the protocol of the experiment considered the injection of small quantities of radioactive phosphorous P-32 (a radioactive isotope of phosphorous) in a group of selected mice. Then, the mice were to be put near the walls of the orgone room, a one-fold metal, room-sized orgone accumulator located in the laboratory. The aim was to evaluate the possible healing effects of concentrated orgone energy on the mice reaction to the radioactive field. Later on, Reich decided to replace the radioactive phosphorous injections with irradiation by 1 mg of radium-226. The needle of radium-226 was put inside a very strong 20-fold orgone accumulator. This accumulator was additionally located inside the orgone room. Its radiations then initiated the irradiation of a group of mice kept in a cage close to the external walls of the orgone room but just outside in the students’ hall. The results of the experiment were devastating and bordered catastrophe. Instead of quelling the radioactivity, the orgone energy became highly agitated. All the laboratory personnel were hit by a reaction that developed during the experiment, and became ill to various degrees. Reich called this reaction oranur. It was the consequence of a high excitation of the orgone energy units inside the orgone room and in the surrounding area. Of the mice located in the students’ hall, close to the orgone room, 286 in total, 57 died during the experiment, even though the mice were never physically close to the nuclear material; 12 were killed for autopsy and medical purposes; and 217 survived during the experiment but all died in the following weeks. Reich realized that, in spite of all precautions taken, a protection to the fierce reaction of concentrated orgone energy to very small quantities of radioactive material did not exist at all, and the safety measures to protect against ionizing radiations, developed by the Atomic Energy Commission, were not effective against the development of an oranur field. All the orgone devices at Orgonon were dismantled and moved away from the inhabited buildings, in order to lower the degree of the ongoing reaction, and the laboratory and the buildings at Orgonon were considered not fit to live in for several months. Some years earlier to the oranur experience recounted above, in 1947 and 1948, Reich, when experimenting with Geiger-Muller counters and orgone apparatus, came to unexpected findings. One such finding was the conclusion that orgone energy could also be used and converted to produce mechanical energy, or work. He observed that the Geiger-Muller counter, used to monitor the radioactivity, initially reacted normally, registering the background count of the area. However, the device became unresponsive when placed close to orgone accumulators, and did not react to background radiation and not even to small X-ray sources. The device had remained practically unreactive for some weeks when the pointer of the impulse recorder started rotating at the rate of one full turn per second. This corresponded to about 100 impulses per second, a very high value compared to the normal background of 10-15 counts per minute. On further measurements Reich obtained a reading of about six to eight thousand counts per minute. Reich argued that he was observing a possible motor force. This occurred because the tube of the Geiger-Muller counter had soaked up large amounts of orgone energy through constant exposure to the high orgonotic charge in the laboratory. Indeed, being that the gas-filled counter tube consisted of an inner cylindrical metal tube, and an outer non-metallic protective layer, usually of coated glass, the counter tube constituted and behaved essentially as a small orgone energy accumulator. Later on, he replaced the counter tube with a specially-built vacuum tube (called a vacor tube – abbreviated from vacuum and orgone). The device was built with inner parallel aluminum plates, attached to the cathode and anode, respectively. This arrangement functioned like a kind of orgone energy accumulator in the vacuum. Reich obtained, by using this updated device, a much more powerful reaction that shortly afterwards was able to run a small spinner motor. In a further experiment he used a small orgone accumulator attached to a wheel. He excited the concentrated orgone energy inside the accumulator to run the wheel by a half Volt of electricity. "Orgone is capable of turning a wheel if a counter tube or similar instrument is so excited that an electromagnetic wheel rotates. … I have simply transformed orgone into electrical energy." Notwithstanding this important discovery, Reich never revealed the basic theory, design, and experimental set-ups through which he was able to run a small motor, and to obtain mechanical work directly from the cosmic orgone energy locally available (4). He wrote, soon after the discovery, a very brief communication, included in the book The Cancer Biopathy (5), and a brief report, a year later, was included in the first issue of the Orgone Energy Bulletin (6) . The information therein reported was too few to understand and to replicate the experiments that led to the development of the motor. However, the first chapters of the Oranur Experiment text (7) include many of the tests Reich did with Geiger-Muller counters, and that later led to the development of the first prototypes of the orgone motor. They can be considered an introductory work to the development of the orgone motor. "Under circumstances still greatly unknown such a change may be expressed in term of higher temperature. …. We may assume that the same energy change which under one set of circumstances causes mechanical motion, causes under another set of circumstances rise in temperature…. If the OR energy in its pointed, excited form finds no objects to move mechanically it will cause high temperature of gases or solid substances by inner friction. …. The clicks at the Geiger counter are doubtless expression of single OR energy points charging a vacuum, a grid of an electronic tube or moving the membrane of a mechanical sound amplifier." "When an atomic bomb explodes, a huge amount of nuclear material (NU) suddenly irritates in concentrated form an unprepared, unconcentrated atmospheric Life Energy. On the other hand, when Oranur is operating a very small amount is irritating a highly concentrated Life Energy. In the first case the OR energy falls victim to prostration and decay. In the second case, the OR energy reacts after a brief period of consternation or paralysis with a fierce motor force." "(2) "Decrease" and "Increase" of potential could be interpreted in terms of functional physics simply as a change in the form of the atmospheric energy from the foglike (unexcited, low) to the pointed (excited, high) state of existence and vice versa. Only the "pointed" state of OR registers on the GM counter. (4) The change from the "cloudy" to the "pointed" state of existence, or activation of OR was now possible by simply impeding its freedom of "lazy" motion or by direct irritation such as friction, sparking secondary coil systems, nuclear material, heat, etc." "The luminating points (see "Oranur Experiment, First Report," p. 195 and Fig. 8, p. 42 above) are mechanical discharges and thus constitute the source of a motor force. The action of the OR motor belongs here: An even sequence of impulses, registered on the GM counter, at a rate of at least 3,000 per minute, sets a motor into motion (see "Orgone Energy Bulletin," 1948)." The running of the orgone motor was witnessed by many collaborators, and people outside his research circle. Amongst the accounts of the co-workers who witnessed the orgone motor running we have those of Sharaf, Baker, Wyvell, Neill, and that of his second wife, Ilse Ollendorf. They add only anecdotal information on the orgone motor, and only very few details can be found in addition to those already available. In general, from the accounts it emerged that the wheel of the motor was turning much faster and noiselessly when powered only by the orgone energy, which was supplied to it by a vacor tube, or by a small orgone accumulator; while when connected to a battery the wheel was turning much slower and the rotational movement was noisy. When alimented by orgone energy alone the rotation of the wheel was affected by weather conditions. 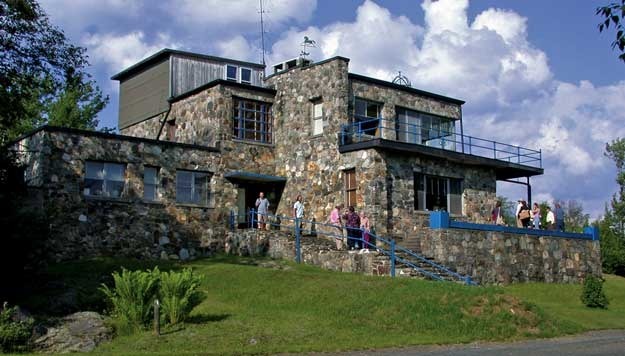 Reich made motion pictures of the motor in operation, and these have been preserved, transferred to videotape, and are now available at the Wilhelm Reich Museum, Rangeley, Maine. 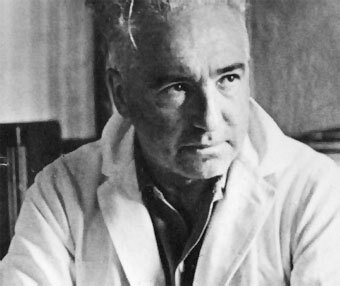 In the last decades, the Wilhelm Reich Museum published four books covering all the periods of Reich’s life and research topics, including materials taken mainly from Journals and correspondence available in the Reich’s Archive, located at Harvard Medical School (Boston, Massachusetts) (15). In some of them, and particularly in the volume published in 1999, some more information about type and line of research conducted by Reich, the system he conceived to convert orgone energy into a motor force, and few details on the experimental set-ups can be found (16). To the best of my knowledge Reich never did experiments aimed at verifying the formation of a tension and the production of electric currents inside orgone accumulators or orgone apparatus, in general. He found, by using an electroscope, that the measuring device behaved differently inside and outside an accumulator indicating that a difference of electrostatic charge could exist between the interior of the accumulator and the environment outside it. However, he never tried to quantify and measure the presence of an electric tension on two opposite metallic sides of the apparatuses. Even in the years after Reich’s death no study was performed aimed at finding whether an orgone accumulator or any other orgone apparatus could produce an electric current (17). With this aim in mind, Maglione and Ferrari carried out in the last years laboratory experiments with the purpose of determining the presence of a tension and of electric currents in orgone apparatus, and above all, in orgone accumulators and tube capacitors made of alternated layers of metallic and non-metallic materials (18). This arrangement is typical of Reich’s orgone-accumulating devices, but it resembles and displays also a marked similarity with those used by Zamboni, an Italian priest and physicist, more than two centuries ago in his dry piles (19). Maglione and Ferrari observed, by experimenting on tube capacitors, the spontaneous formation of a tension and the generation of an electric current. No type of mechanical nor radiant energy was supplied to the apparatuses. They argued that the formation of the tension and the production of electric energy were affected by the natural pulsation of the atmospheric orgone energy field in which the capacitors were immersed, provided that the orgonomic potential of the environment was high enough to produce a charge-discharge metabolism of the orgone energy units stored by the capacitors. The authors observed also that by increasing artificially the local orgonomic potential at one capacitor (by adding a definite volume of a fluid with a raised orgone charge inside the tube capacitor) formation of a tension (when previously it was zero), and an increase of the tension (when previously it was already available but lower) was observed. Recently, Southgate performed electric and magnetic measurements in an orgone cabinet that has previously been exposed to very small quantities of radioactive substances in the autumn of 2017 (0.9 mg of americium-241 for about one month) (20). The cabinet contained orgone boxes, orgone acupuncture tubes and a glass tank containing further orgone accumulating materials. Electrical and magnetic fields were measured within the internal glass tank inside the orgone cabinet. A powered on electrical field meter was placed within the inner glass tank. It was moved by hand in a circle of approximately 9" diameter, 9 times in 4 seconds and then the readings taken once again immediately. Each electrical and magnetic reading was an average of approximately 6 to 10 individual readings taken at the same data collection point. These changes were compared to a non-oranur atmosphere (an indoor area 50 foot from the oranur device). Southgate obtained that movement of the meter within a relatively weak oranur field resulted in consistently higher electrical and magnetic field readings (about 2 to 3 times higher) than the same movement produced in an ordinary non-oranur atmosphere 50 foot from the device. A possible small radioactivity effect (greater oranur resulting in greater changes) was also noted. The following figure 1 represents the qualitative behavior of the production of electric charge against the state of the units of the orgone energy field. Unexcited state of the units provides low values of the charge, as experimentally verified by Maglione and Ferrari; while the charge appears to drastically increase in case the units are excited by an external agent, as suggested by the radioactive experiments performed by Southgate. Finally, the function Y, that Reich never revealed, can be linked to orgonomic phenomena instead of purely wiring arrangements or electric circuits as proposed by some authors (21). Indeed, it appears that the orgonomic potential of the environment, which the orgone device is permeated by; and above all that available inside the orgone device would be of extreme importance and instrumental in producing electricity. And this orgonomic potential might have been increased by Reich at the time, when demonstrating the motor force in action, by exciting the concentrated orgone energy units inside the orgone accumulator by a small battery. It would be an increase high enough to produce the required electricity to run a very small motor but safe enough not to create a dangerous oranur field around it. All in all, it might be hypothesized that the function Y, Reich was referring to when developing the prototypes of the orgone motor, might be identified in the behavior of the orgonomic potential. This potential, accessible in the interior of the orgonotic system, would be proportional to the local environmental orgonomic potential in which the energy system is located. Reich W, American Odyssey. Letters and Journals 1940-1947, edited by Mary B Higgins, Farrar, Straus and Giroux, New York, 1999, page 401. Reich W, Ether, God and Devil; Cosmic Superimposition, Farrar, Straus & Giroux, New York 1973. Reich W, The Oranur Experiment: First Report (1947-1951), The Wilhelm Reich Foundation, Rangeley, Maine, 1951, page 208. It should be outlined, however, that Reich, in July 1948, informed the Chairman of the Atomic Energy Commission of the motoric qualities of the orgone energy and of the fact that such a motor force might be abused by totalitarian countries (Eden J, Planet in Trouble. The UFO Assault on Earth, Exposition Press, New York, 1973, page 154). 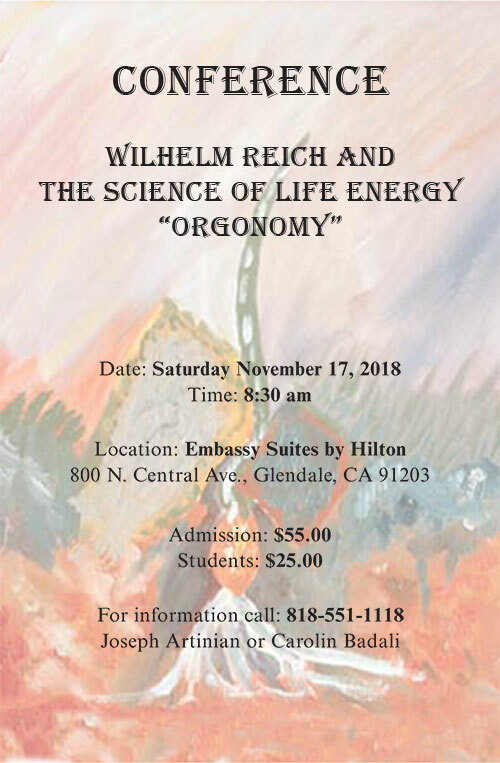 Reich W, The Discovery of the Orgone. Volume Two: the Cancer Biopathy, Orgone Institute Press, 1948, New York, page 150. Reich W, A Motor Force in Orgone Energy. Preliminary Communication, Orgone Energy Bulletin, 1(1), Orgone Institute Press, January 1949, New York, pages 7-11. Reich W, The Oranur Experiment: First Report (1947-1951), The Wilhelm Reich Foundation, Rangeley, Maine, 1951. Reich W, Contact with Space, Oranur Second Report (1951-1956), Core Pilot Press, New York, 1957. Reich W, The Oranur Experiment: First Report (1947-1951), The Wilhelm Reich Foundation, Rangeley, Maine, 1951, page 213. Reich W, Ibid, page 199 and 200. Reich W, Contact with Space, Oranur Second Report (1951-1956), Core Pilot Press, New York, 1957, page 218. Reich W, Ibid, page 219. Reich W, Ibid, pages 45 and 46. Reich W, Ibid, 1957, page 44. Reich W, Passion of Youth. An Autobiography 1897-1922, edited by Mary B Higgins, Farrar, Straus and Giroux, New York, 1988; Reich W, Beyond Psychology. Letters and Journals 1934-1939, edited by Mary B Higgins, Farrar, Straus and Giroux, New York, 1994; Reich W, American Odyssey. Letters and Journals 1940-1947, edited by Mary B Higgins, Farrar, Straus and Giroux, New York, 1999; and Reich W, Where’s the Truth? Letters and Journals 1948-1957, edited by Mary B Higgins, Farrar, Straus & Giroux, NY 2012. Reich W, American Odyssey. Letters and Journals 1940-1947, edited by Mary B Higgins, Farrar, Straus and Giroux, New York, 1999. 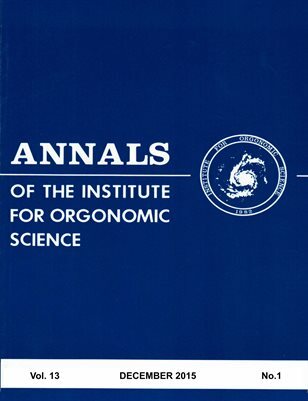 Maglione R, Methods and Procedures in Biophysical Orgonometry, Gedi Gruppo Editoriale, Milan, 2012, pages 83-125. Maglione R, Electric Currents in Orgone Devices. The Route towards the Reich Orgone Motor? A State of the Art, Journal of Psychiatric Orgone Therapy, August 27, 2017; Maglione R, Ferrari D, Electric Currents in Orgone Devices. The Route towards the Reich Orgone Motor? Early and Mid-term Laboratory Experiments with Orgone Apparatus, Journal of Psychiatric Orgone Therapy, September 26, 2017; and Maglione R, Ferrari D, Electric Currents in Orgone Devices. The Route towards the Reich Orgone Motor? A Hypothesis on the Y-factor, Journal of Psychiatric Orgone Therapy, October 27, 2017. Maglione R, The Legendary Shamir, Gedi Gruppo Editoriale, Milan, 2017, pages 43-65. Southgate L, Further Preliminary Experimental Report on Oranur. Possible Electrical, Medical and Orgone Compound Effects, paper accepted for publication on JPOT, December, 2018. Correa PN, Correa AN, Energy Conversion Systems, Patent US 7,053,576, May 30, 2006; and Energy Conversion Systems, Patent US 7,235,945, June 26, 2007. A motor dependent on external energy that is in constant flux is not going to be very useful for a power source. The real value of an orgone motor would be as an orgone meter, measuring the activity and strength of the ambient orgone field by its speed of rotation. But there are already several good means to do this, such as the wire antenna connected to an Oscilloscope, which Reich described in his Oranur Report. There is therefore no practical need for an orgone motor. In fact, although it was a valid line of research for Reich, in the context of his long-term investigation of orgone energy, at present, it is more of a fixation on the part of Reichian cultists who are fascinated by the mystery of a “secret” Reich never divulged or motivated by the chimera of financial gain from what they wrongly expect to be a potential source of commercial power. But that it could never be because the surrounding orgone supply is constantly varying and not reliable enough for industrial purposes. There is an extensive subculture outside orgonomy of people who think it is possible to build a device that produces more energy than it needs to run itself. These people do not stop at the mere prospect of building such a device, which would be a fantastic accomplishment revolutionizing modern physics, but have also woven a vision about it in which it saves the world from pollution by replacing all other forms of power generation. This vision motivates them to continue the search for the elusive goal. But the sad reality is that even if they ever succeeded in actually making such a machine, the impact on environmental problems would be negligible. Contrary to what the free-energy enthusiasts think, most environmental problems are not related to how energy is obtained. Deforestation, over-fishing, habitat loss, damming of rivers, plowing ground, building huge urban sprawls, military use of radioactivity and chemical poisons to poison enemy territory, floating plastic in the oceans, diversion of water for irrigation, destruction of the ozone layer by the chemicals used in military aircraft, and many, many other threats to the environment would not be solved by changing the sources of energy in common use. The free-energy buffs are chasing a chimera. They like the idea of free energy as the solution to environmental problems, but virtually ignore all the other causes of environmental degradation that have nothing to do with energy sources. Seldom are they to be found among the ranks of environmental activists working on other causes. In fact, the reverse is true. Most free-energy fans are in favor of new technologies, while most environmentalists are suspicious of any untested technology and usually urge caution, not rapid acceptance of technical innovations. Another frequent gulf between the free-energy culture and the environmentalists is on population control. Most environmentalists are convinced there are too many people on this planet and they would like to see the number of humans reduced as quickly as possible, as long as the methods used are consistent with humanistic values. But many free energy enthusiasts agree with the teachings of right-wing economists that the earth could support many more people than there are at present if only some new technologies were adopted to yield free energy and increase food production. This short-sighted view concentrates on availability of food and fuel and ignores all the negative impacts a larger population would have on the natural life-support systems of the planet. Environmentalists frequently blame large corporations or the capitalist economic system for the destruction of the environment, though most would agree instantly if you told them the huge numbers of people and the level of technology now existing are responsible for most of the damage. But the free energy buffs focus mainly, if not exclusively, on the pollution caused by conventional energy sources and place the main burden of blame on oil companies and a few rich and powerful conspirators who are thought to be keeping free energy off the market. 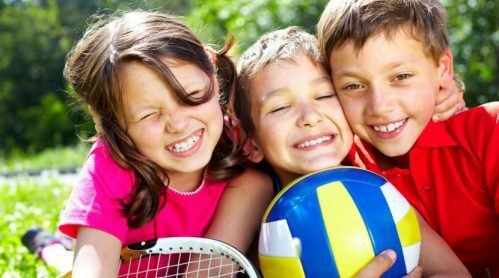 Instead of advocating less technology, they advocate more. And most of them have no objection to capitalism. They dislike the few large companies that they blame for retarding technological progress, but seldom advocate the overthrow of capitalism in favor of any alternative form of economic distribution system. If you suggest to them that the best way to bring in use of free energy devices would be to abolish capitalism and become a socialistic society, they would fail to see the connection.Many of them, in fact, are staunch advocates of the free-enterprise system. So free energy can be regarded as a right-wing solution to environmental issues, while most environmentalists are on the left of the political spectrum. The differences between them are more important than the things they have in common. 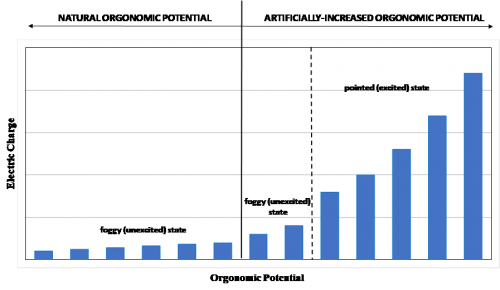 The free energy buffs frequently reject a call for a socialist economy, population reduction, and limits on technology just as rigidly as the environmental movement rejects the idea of a technological “fix” for environmental problems. The two viewpoints are not compatible and cannot be reconciled. Ultimately, they are not about facts, but about values, and represent differing ideas of what kind of a world we want to live in.